If you are over 70 years of age and in otherwise good health, what nutritional supplements should you think about taking? Well, this can be a very difficult question to answer because it really depends upon your current diet, levels of physical activity, and disease risk factors. However, there are several specific nutrients which, in my opinion, are helpful for people over the age of 70. This nutrient is difficult to get in adequate amounts from the diet and there seems to be fewer people who are spending enough time outside to get this nutrient from the sun. Vitamin D is essential for the absorption of calcium from the gut and it remains one of the most common nutrients where the recommended intakes are infrequently matched. Vitamin D helps keep your bones strong by allowing the calcium you eat to be absorbed by the bone cells. Vitamin D has also been implicated in the prevention of various types of cancers and heart disease. I recommend taking 400-800 IU per day with food. The older you are, the greater risk of developing the symptoms of vascular disease which can affect your heart, brain, and circulation to your hands and feet. 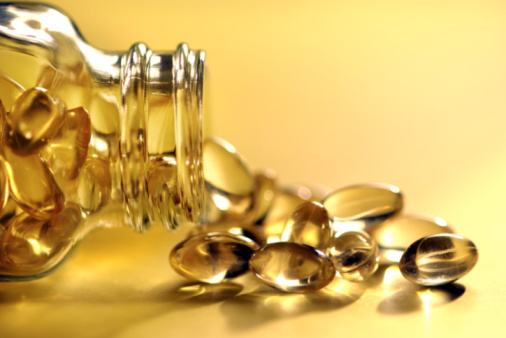 Fish oil capsules derived from salmon oil, halibut oil, krill oil or seal oil contains generous amounts of omega-3 fat. These fats can improve blood flow through your arteries by prevention of blood clots, decreasing blood pressure, inflammation, and cholesterol build-up. As most people do not eat enough oily fish during the week and the research clearly indicates that the increased consumption of these fats can lower the risks of developing chronic disease, it’s great insurance to take a daily supplement containing a high-potency omega-3. I recommend taking 1000 mg of omega-3 three times per day with food. This supplement I feel is very important because it has some very unique qualities. Co-Q10 is instrumental in the ability of your cells to generate energy as you age. Organs like the heart, brain, liver, immune and digestive systems require a constant supply of energy in the form of ATP. As we age, the furnaces in our cells which produce this energy, known as the mitochondria, become less efficient at producing this energy. Although food contains the necessary nutrients for our bodies to make Co-Q10, as we age, this need is not met. Certain commonly used drugs can also deplete the levels of Co-Q10 to dangerously low levels. Co-Q10 is an important fat-soluble antioxidant which can fight free radicals and help decrease damage caused to our hearts, brains and blood vessels from inflammation. The use of Co-Q10 is particularly helpful in keeping the heart muscle strong and capable of working more efficiently. I recommend taking at least 100 mg of Co-Q10 daily with food in an oil-based capsule. Shilov, A.M., et al., “[Prophylaxis of ischemic heart lesions during chronic heart failure with complex therapy using Q10 coenzyme].” Anesteziol Reanimatol. March-April 2011; (2): 34-8.